La Tour Eiffel Goes Green – Oh La La! This news story came across my FB feed this morning and I just had to tell you all about it. A €25 million (£19.7m) renovation of the Paris landmark is expected to improve the tower’s energy performance by 30 per cent. Solar panels and small, vertical wind and hydraulically-powered turbines will be installed on the tower’s first platform 187 feet above the ground. The new power generators will not be visible from the ground, or change the tower’s famous silhouette. 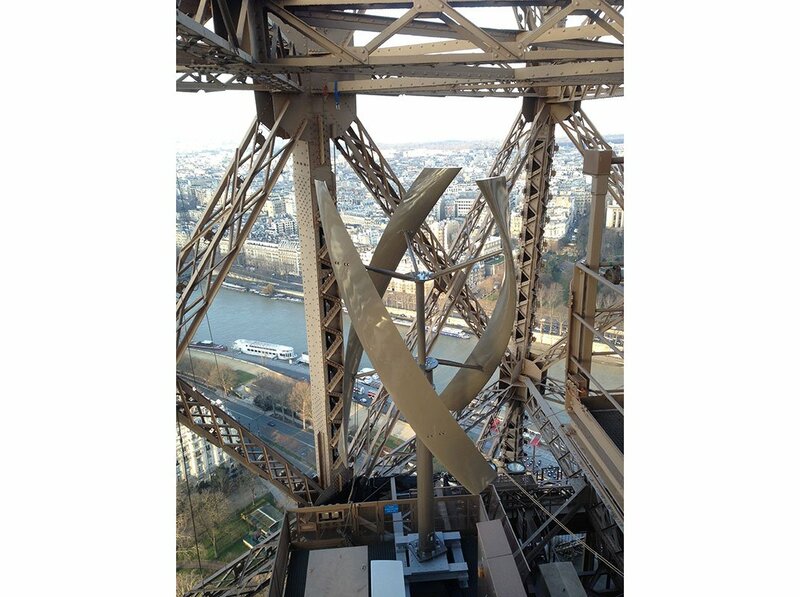 “We’re hoping to give ourselves the tools we need to move into the next century,” said Jean-Bernard Bros, president of the Société nouvelle de la tour Eiffel (New Eiffel Tower Society). Four solar panels on the roof of one of two renovated buildings, called the Ferrié pavilion, will provide about 50 per cent of the hot water used on the monument, mostly in the restaurants and restrooms on the first floor. Four vertical wind turbines will be tucked away under the same building, creating an estimated 8,000 kWh/year of electricity, and water-powered turbines will be integrated into the first floor’s water supply network, to generate a “mini power station” producing 4,000 kW/year. Rainwater will also be stored under the Ferrié pavilion, and used for tap water in the restrooms, and 95 per cent of the new lighting will be LED-type, which has a longer lifespan and low consumption. 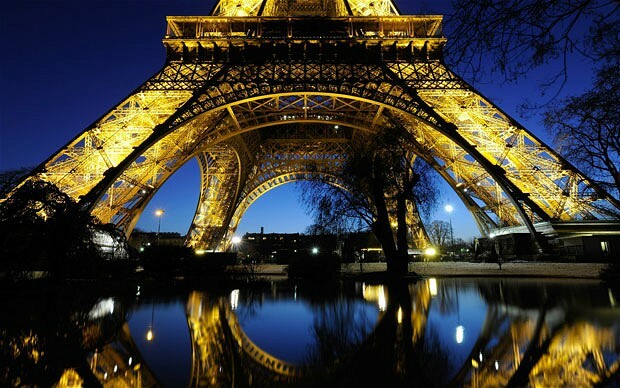 The Eiffel Tower uses 20,000 light bulbs to make it sparkle every night, for 10 minutes on the hour. The monument consumes 7.8 million kWh of electricity per year, the equivalent of a small village, including 580,000 kWh for all its lights. 60,000 m3 of drinking water, and 705,000 kWh of heating and air conditioning are also required every year. So amazing! And seriously, those turbines are kinda gorgeous, amiright? C’est magnifique! I love that a great big hunk of iron, one that has up until now consumed a hunka hunka resources (what with the elevators and the restaurant and the 20,000 sparkly lights every night) can move towards a more sustainable model of energy use. If La Dame de Fer (The Iron Lady) can go green then what excuse do we sentient human beings have for not moving that way??! Collect rainwater and compost, people!! Now, how to get the HOA to approve a wind turbine in my yard…..
You mean, you personally or .. The govt? In my mind I thought Tassie was all in to wind turbines but I could be wrong. They were all over the hilltops in Portugal. I thought they were gorgeous, very architectural and striking, mesmerizing actually as they slowly turned. But I know there are many who find them to be eyesores. I thought Paris did a nice job blending form with function. Think they could put some on the top of the Harbour Bridge and Opera House? Wouldn’t that be awesome? Gets windy up there. Actually us personally but much smaller ones. It can get very windy here that we thought we should look into the idea.